QuteCom is a SIP compliant software. VoIP client developed by the QuteCom (previously OpenWengo) community under the GNU General Public License (GPL). It allows users to speak to other users of SIP compliant VoIP software at no cost. It also allows users to call landlines and cell phones, send SMS and make video calls. QuteCom is an free and open source voice-over-ip, and video conferencing application. 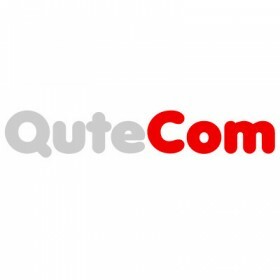 The latest version of the software is always available on the QuteCom website. QuteCom 2.2 is licensed under the GPL, and is free software. Use of libgaim from Gaim to allow interoperability with many IM protocols. Encryption using SRTP with AES 128 bit standard encryption. 100% translations for 13 languages.